Hope is a Symbolist oil painting by George Frederic Watts, two versions of which were completed in 1886. 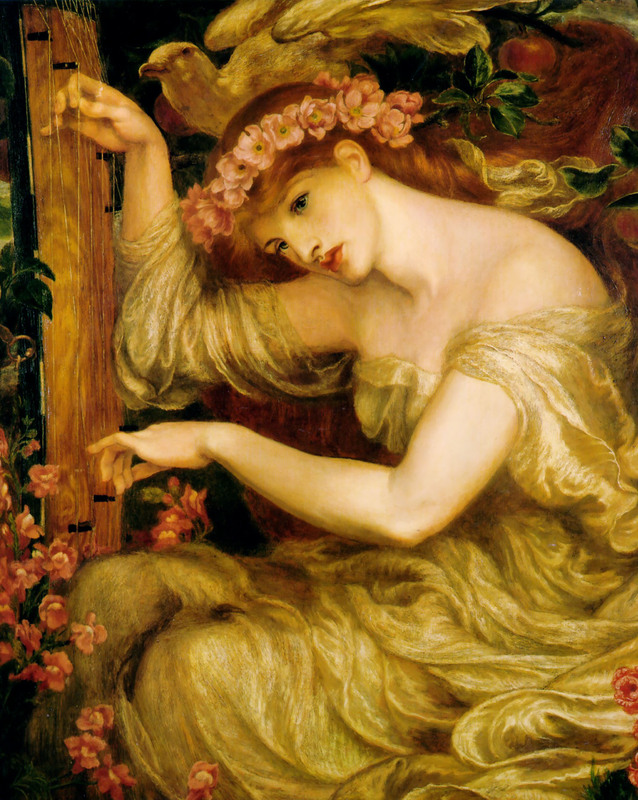 The painting was intended to form part of a series of allegorical paintings by Watts entitled the House of Life. The painting shows a female allegorical figure of Hope. Hope is traditionally identifiable through the attribute of an anchor, but Watts took a more original approach. In his painting, she is depicted sitting on a globe, blindfolded, clutching a wooden lyre with only one string left intact. She sits in a hunched position, with her head leaning towards the instrument, perhaps so she can hear the faint music she can make with the sole remaining string. According to Watts, “Hope need not mean expectancy. It suggests here rather the music which can come from the remaining chord”. The desolate atmosphere is emphasised by Watts’s soft brushwork, creating a misty, ethereal scene, in tones of green, brown and grey. 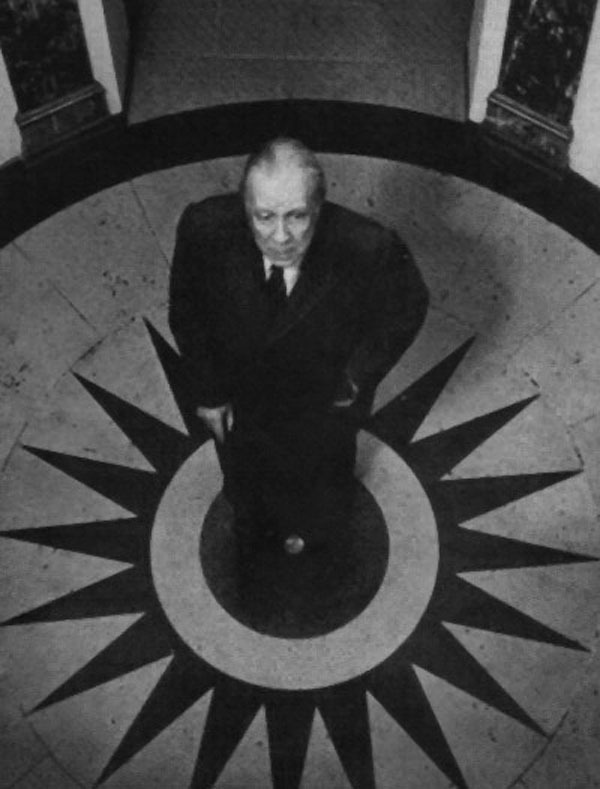 Watts’s melancholy depiction of hope was criticised, and G. K. Chesterton suggested that a better title would be Despair. 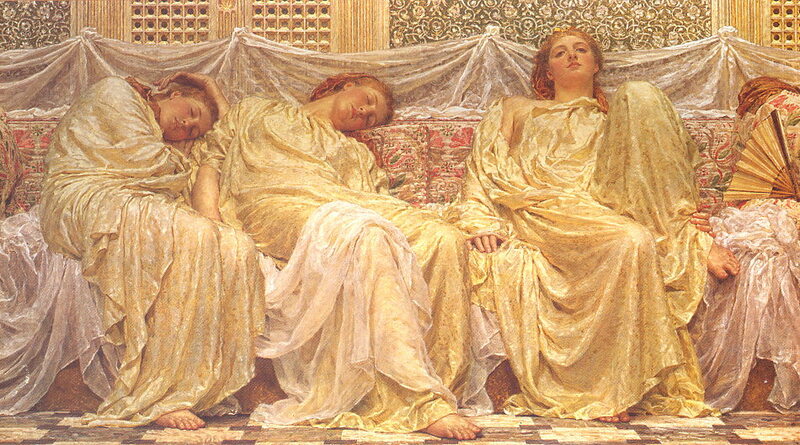 Watts may have been inspired by the pose of the siren in Dante Gabriel Rossetti‘s painting A Sea Spell, or the sleeping women in Albert Joseph Moore‘s painting Dreamers. 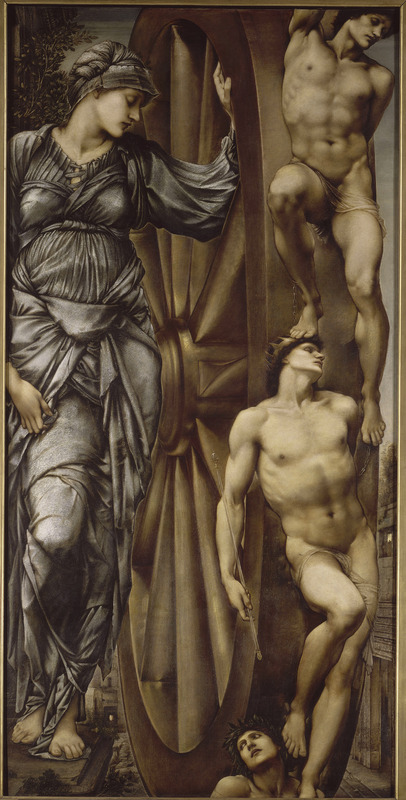 Watts may have taken inspiration for the blindfold from the allegorical figure of Fortune in Edward Burne-Jones‘s painting The Wheel of Fortune, which Watts owned. 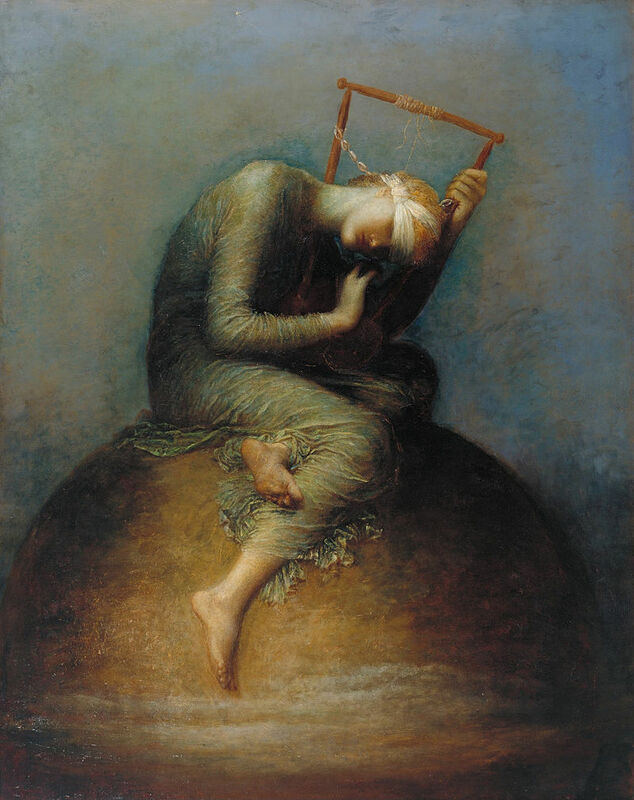 The painting was displayed at the 1897 Manchester Jubilee Exhibition, alongside other works by Watts including Love and Death, The Court of Death, Psyche, and Mount Ararat. Hope inspired a scene from a 1922 film of the same name by Herbert Blaché and Lejaren à Hiller, featuring Mary Astor as Hope. It has been suggested as an influence on Pablo Picasso‘s early Blue Period paintings, especially the hunched musician in The Old Guitarist. Martin Luther King Jr referenced Hope in his sermon Shattered Dreams in his collection of sermons, Strength to Love. Nelson Mandela reportedly had a print of the painting on the wall of his prison cell on Robben Island. After Egypt was defeated by Israel during the Six-Day War the Egyptian government issued copies of it to its troops.